Millions of individuals suffer from some form of cardiac arrhythmia. While most cases are benign, some can be quite serious, and require immediate medical attention. Only with a quick response can the patient reduce potential complications or even death. Most individuals suffering an arrhythmia experience a rapid heartbeat with the flutter in the chest. Others notice their heart skipping a beat. Nearly all arrhythmia experiences involve one or more symptoms including being out of breath, fainting, dizziness, or chest pains. Sinus arrhythmia is the most common experience when the heart rate changes while taking a breath. In many incidences, individuals that suffer arrhythmia also experience anxiety. Identifying a serious, life-threatening heart arrhythmia early on is crucial to the patient’s outcome. This is because minimizing the negative impact of heart disease on the body requires an early diagnosis, followed by thorough and efficient treatments. Anytime a doctor misdiagnosis heart disease, or does not provide adequate treatment, the patient can suffer severe injury, or experience a wrongful death. Early detection of a severe heart arrhythmia usually includes listening to the heart’s rhythm using a stethoscope. Additionally, doctors will refer the patient front electrocardiogram (EKG) because of its precise accuracy in diagnosing arrhythmias. In many incidences, an arrhythmia does not occur during the exam, even when the patient experiences symptoms at other times. 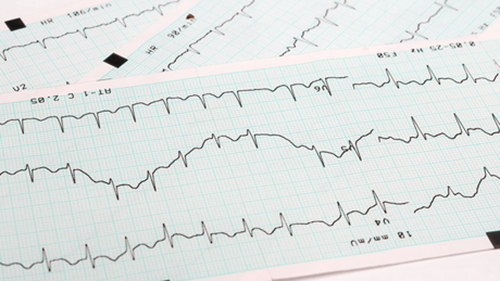 Doctors have a variety of tests available to accurately detect and diagnose the patient’s medical condition to determine if an arrhythmia is the cause of the symptoms. The physician can take a medical history and perform a comprehensive physical exam. Having the patient perform a battery of tests usually provide accurate information to determine if the heart arrhythmia is the result of heart disease. Personal injury attorneys that specialize in medical malpractice handle claims where the health care provider was negligent in their actions. In most claims for financial compensation, the doctors and medical facility/hospital are likely financially liable. Rosenfeld Injury Lawyers LLC assist their clients by filing a medical malpractice lawsuit against all responsible parties. This often includes the diagnosing or treating doctor, all responsible supervising physicians, other medical staff, lab technicians and pharmacists along with the medical facility or hospital. Call the law firm at (888) 424-5757 for free first consultation. Our experienced lawyers will evaluate the case and provide advice on the legal options to receive an out-of-court settlement from the responsible parties, or be awarded money at trial. The attorneys work on contingency, and require no upfront fees.